Rip it up: The story of Scottish pop is the book accompanying the exhibition at the National Museum of Scotland from 22 June to 25 November 2018. It explores the influential musical culture of Scotland over more than half a century, from Lonnie Donegan to Calvin Harris. Recorded music has only existed for the relatively short period of about 160 years, and the gramophone disc for even less. Folk today have lived their entire lives surrounded by recorded music in one shape or form. As we enter a new era when almost all music ever recorded can be digitally streamed via the internet – as simple as turning on a water tap – it is interesting to look at our relationship with the physical artefacts themselves and the ways in which we acquire our music. Merchandise has always been central to pop for artists and fans alike. T-shirts, scarves, badges, posters, programmes – and of course the records themselves – are essential to keep the wheels of industry turning. Nothing proves a fan’s dedication more than a full set of band memorabilia. It can be tribal and identity driven, but it also commemorates well-loved artists in a fun and financially lucrative way. The revenue allows musicians to create their art, to tour the world and live their lives. Today’s fans have ring-tones, computer apps and interactive games to entice them, with personal ‘meet and greet’ opportunities, back-stage passes and signing sessions making the interface between artist and audience closer than ever. It’s perhaps a bit more complicated than acquiring a tartan scarf or button badge. The song itself is hugely personal. It can reflect or represent a specific time in our lives, success or failure, hardship or joy, heartbreak or true love. Many of us keep a record of those memories and emotions, times and places – hence music collections become such an intimate chronicle of our lives. As well as the music, some of us are even attached to the formats themselves. Since the dawn of pop, as technology has advanced and consumer habits changed, we’ve enjoyed our favourite songs on vinyl, cassette tape, compact disc, digital download and now as streams. Although a more niche concern, vinyl is experiencing a renaissance these days, probably due to the sound quality, tactile nature of the object and sheer nostalgia. As collectors spend enormous sums globally on original vinyl, pressing plants are once again booming with rekindled demand. Record shops have also played a major role in sustaining local music scenes throughout the years and are more than merely outlets for flogging merchandise. Though many of these communities have since moved online, shops have always been at the forefront of each new musical movement, endorsing and nurturing musicians as well as educating the public. The spaces themselves become crucibles for like-minded souls, networking musicians and local gig promotion. Before the internet the only genuine portals of music discovery were the music press, radio, and going to the local shop. 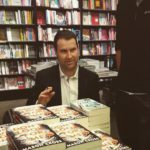 Although chainstores like HMV, Virgin, Our Price, Tower and Fopp have served the public well, it was, and still is, the independent outlets that offer a more personal and unique experience. These shops stock the weird and wonderful, opening a window into another world for the customer, casual browser and curious teenager. Leafing through the dusty racks, looking at the poster-strewn walls, eavesdropping on hipster conversations at the counter, are essential for any avid music fan. Not many outlets have developed a reputation beyond their lifetime, but Bruce’s Record shops have. Perhaps it was the era, attention to detail, dedication to the local scene, or the memorable red bags stating ‘I Found It At Bruce’s’. Opened in 1967 in Falkirk by the budding entrepreneur Bruce Findlay and his brother Brian, the Edinburgh branch of Bruce’s Records arrived in 1969 and became a hub for those interested in the new sights, sounds and scenes. 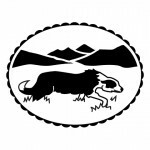 Bruce’s shops spread across Scotland, inspiring others to do something similar until well into the 1980s. Like gig venues and bands themselves, Bruce’s and the shops that followed would become trusted institutions and pillars of the underground community. There are still record shops across the world, albeit in dwindling numbers with increasingly small margins. As a music-mad nation, Scotland is no different. Each town, city or decent-sized metropolis has a shop to shout about. As many have fallen by the wayside, honorary mentions must go to Avalanche and Ripping in Edinburgh, John Smith’s, 23rd Precinct and Missing in Glasgow, Chalmers & Joy in Dundee, One Up in Aberdeen, Imperial Music in Inverness and Sleeves in Kirkcaldy. All were wonderful ‘bricks and mortar’ establishments that couldn’t quite surf the digital wave, pay the rent and keep the records in the racks. Some have survived, thankfully, and new ones are appearing. Scotland’s oldest record outlet, Concorde Records in Perth, has recently celebrated fifty years of business. Groucho’s in Dundee is over forty and still going strong with new, second-hand product and concert ticket sales. And Edinburgh’s Vinyl Villains has recently reached its thirty-fifth birthday. 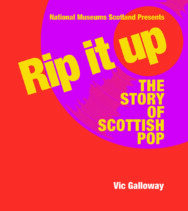 Rip it up by Vic Galloway published by NMS Enterprises – Publishing will be available from 22 June 2018 priced at £14.99.